Explore the vibrant city of Brisbane in the cool of the morning with this exciting morning tour. With full commentary on the tour, you will develop a deep understanding of the history of the city while exploring important historical sites. Discover modern Brisbane as the locals know it as you travel through trendy precincts including Southbank and Fortitude Valley. Then take in the beauty from afar as you admire the amazing city views from Mt Coot-ha and Kangaroo Point Cliffs. This exciting Brisbane City Tour will give you the perfect introduction to the lively city locals know as Brisvegas. 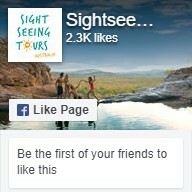 Book our Brisbane Tours today! Join us on an unmissable adventure to Moreton Island, an unforgettable tour from Brisbane. Situated 58km north-east of Brisbane City, Moreton Island is a tropical paradise not to be missed. Travel on our luxury catamaran and prepare to soak in the relaxed island lifestyle with a Piña Colada in hand. Tour highlights include full access to Tangalooma Resort facilities, together with free land-based activities, pool tables, swimming pools, restaurants, bars and much, much more. Learn all about the local marine life with a presentation from Tangalooma Marine Education and Conservation Centre. Enjoy a relaxing day away from Brisbane and book our 1 Day Moreton Island Tour today! Join our North Stradbroke Island Tour to discover paradise just outside of Brisbane. Only a 45-minute ferry ride across Moreton Bay lies the second largest sand island in the world – Stradbroke Island. ‘Straddie’ (as the locals call it) has a little bit of everything, making it the perfect destination. From its crystal-clear beaches, to its rugged coastlines and copiousness amounts of Australian wildlife, the island is definitely one to tick off the bucket list. Visit Brown Lake with its tea-tree oil infused waters and the North Gorge Headland Lookout. Keep your eyes peeled for koalas, kangaroos, dolphins, sea turtles and giant manta rays in the wild. Visit Point Lookout, Cylinder Beach and the well-known Myora Springs. All we can say is don’t forget your bathers! Our North Stradbroke Island Tour is a great day out from Brisbane. Book your tour today! Discover the wonder of Moreton Island and experience one of the best tours from Brisbane on offer. Moreton Island is a natural wonderland, renowned for its world class snorkelling sites, astounding beaches and abrupt sand dunes that act as an adventure play-ground. There is no better way to experience Moreton Island then to add a dolphin experience. On this tour, you will have exclusive access to the ‘Wild Dolphin Viewing Jetty’ and also choose from one of the following amazing activities on offer - The Marine Discovery Tour, The Desert Safari Tour, or the Whale Watching Cruise (seasonal). And of course, you get access to all the perks of the Tangalooma Resort. Explore Australia's beautiful Sunshine Coast and its famous surroundings on our Sunshine Coast Hinterland & Noosa Tour. With full commentary on the tour, you will experience traveling through North of Brisbane to discover the spectacular mountain ranges, pristine beaches and local markets of this spectacular region. Travel north of Brisbane to enjoy the scenic route to Blackall Ranges to Montville and marvel at Queensland's rugged coastal line. Take a relaxing stroll through the Mary Caincross Scenic Reserve and be amazed by the views of the Glass Mountains from the observation deck! Your Sunshine Coast tour is not complete without visiting the famous Eumundi Markets, find something handmade, or something unique, there is always something special you will find here! Next, you will visit the world's largest operating Ginger Factory to discover how ginger is grown, harvested and prepared, and perhaps enjoy tasting their mouth-watering ginger ice cream! World Heritage-listed Fraser Island is the ultimate destination for sun, sand and leisure. Located off Australia’s eastern Queensland Coast, Fraser Island is the world’s largest sand island extending over 120km. From its temperate rainforests, to its fresh water lakes including the well-known Lake McKenzie and Lake Wabby - Fraser Island is a must see. Whether you want to spend the day or relax for a couple of nights, we’ve got it covered. Book your tour today! The Gold Coast is an iconic destination famed for its sunshine, sandy beaches and surf. From the well-known Surfer’s Paradise Beach, to the lively Cavill Avenue, the Gold Coast has something for everyone. Hiking tracks are peppered across Lamington National Park’s mountain ridges and valleys, which are home to an abundant amount of Australian wildlife and rainforest. Explore what the Gold Coast has to offer on one of our many day tours. Book your tour today!